I took this photo November 2012. The day was absolutely beautiful so I could not pass this shot up. That is a pretty and peaceful shot. Thanks for sharing. 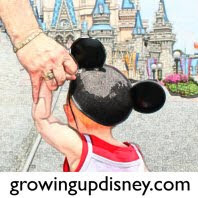 What a great shot and a relaxing mode of Disney Transportation! What a great photo, most people take photos from the boat! 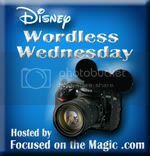 Thanks for sharing and for linking up to the Disney Wordless Wednesday Blog Hop today. Gorgeous photo. I love just standing over in that area and watching everything. Great shot. I love the Liberty Belle. This is beautiful! I love the colors! I hope to ride this some day soon. It's been YEARS since I have. My favorite!!! It has been closed the last two trips for refurbishment, so I am hoping that we can experience this year!